This game looks awesome and I have been looking for a new toys to life games since they have been absent for a while. This seems like a pretty cool to make toys to life better. Also, Star Fox is gonna be in it on the Switch. This looks like a space game. I don’t really have any comments on it. It was like you got a little toy to go along with it. Kind of like Skylanders. But, it didn’t seem that cool . It seemed like you just hit a bunch of buttons and stuff and do things. To me, it feels like you’re in this ship and there are these special attachments that you attach to the controller and it puts a big gun or something on the wings of the ship. It’s really cool. 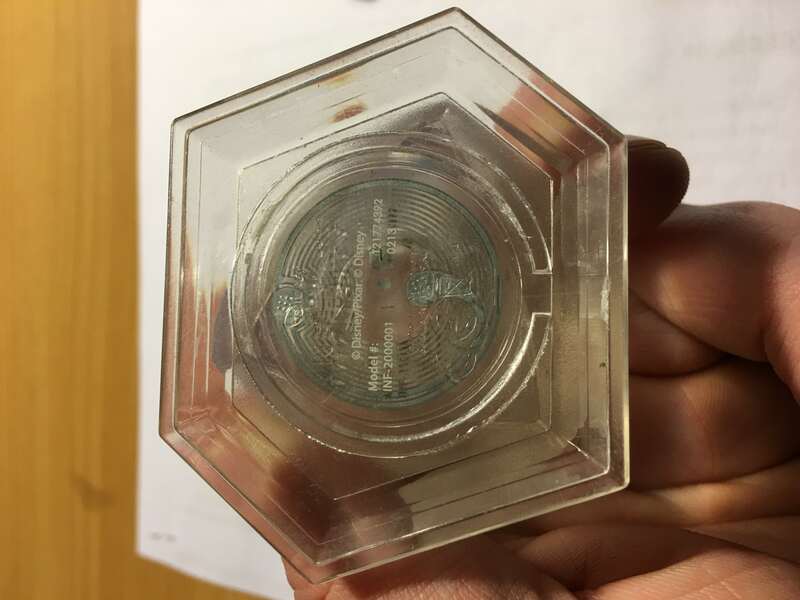 The design – What’s actually on the screen isn’t amazing but I think that the ship controller thing is really cool and you can just put it on. It’s almost like virtual reality. 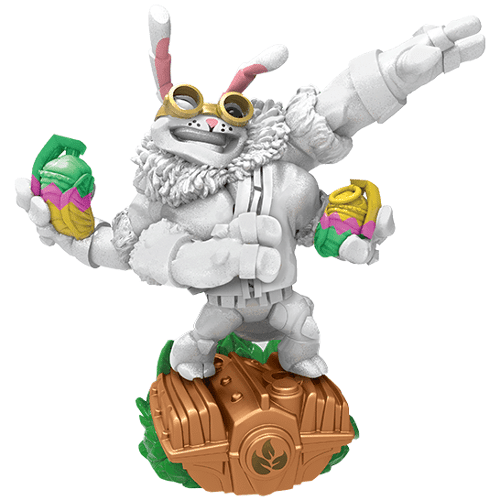 Massive Skylanders Sales March 13th – 19th to Celebrate the Arrival of Spring! Skylanders are going on sale from March 13th through March 19th to celebrate the arrival of Spring (and for Easter Baskets). Check out all the killer deals to help fill out your collection! Eggcited Thrillipede is ready to help celebrate Easter! 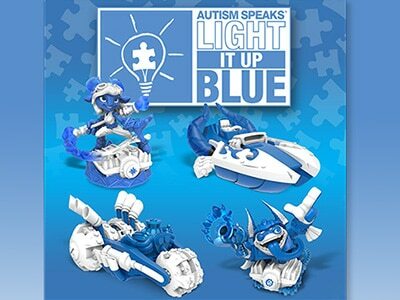 Activision Blizzard is teaming up with the charity Autism Speaks as part of the “Light it up Blue” campaign. 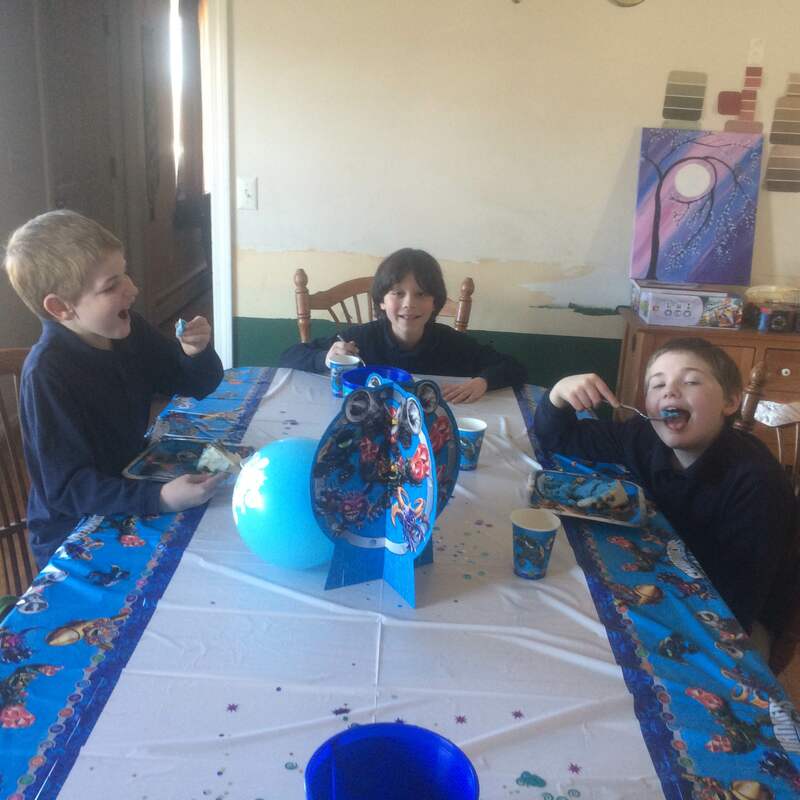 They will be releasing a set of special edition action figures that are painted blue in an effort to raise awareness for Autism ahead of Autism Awareness Month this April. The figures they are releasing are Splat and her boat, Splatter Splasher, as well as Trigger Happy and his car, Gold Rusher. These special figures will function identically to their regular counterparts, but they will appear blue and white inside the game as well. This is a great program for Activision to get involved in as Autism is a concern for millions of parents all over the world. What do you think? Will you be buying any of these figures? Sound off in the comments! Parents Asked: How to Toys to Life Figures Work? Skylanders, Disney Infinity, Amiibo, and now LEGO Dimensions… Toys to Life games and figures are filling up our houses at a breakneck pace. They are all toy lines that feature characters that hop to life in some very popular games. 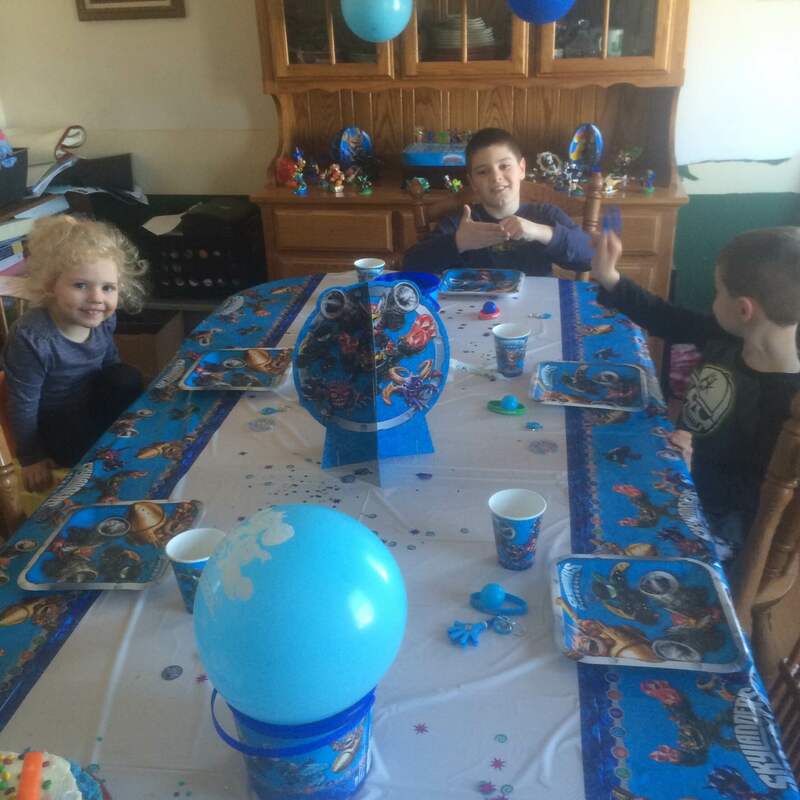 We have gotten a lot of people asking how the games work so they can explain it to their kids. NFC stands for “near field communication.” It works thanks to some of the same technology as ID badges and the Apple Pay system on the newest iPhone models. (I am including a more technical explanation at the bottom of the article for those interested.) This allows for two way communication between two objects that are not directly plugged into one another. That two way communication is critical because it means data is not just taken from one source and read, but it can also be written back to it. That two way communication between the console and the chip inside the figure is why you can place your Trigger Happy figure on the “Portal of Power” and have him appear in the game without having to plug him in. That casual interaction is one of the biggest reasons why these games have become so popular. If more work was involved and switching weren’t as easy it is likely that children would get bored (or frustrated). That process enables your children to take their figures with them to a friend’s house and use all of their earned skills, hats, etc. It is also largely responsible for the WOW factor when you first activate a toys to life figure. The NFC chips themselves are located in the bases of each figure and if you look closely at the bottom of some of them you can even see the metal spiral that is used. Since all the data is stored there it is not really much of an issue if the figure breaks as long as you keep the disk! This has actually resulted in some very cool alterations. (An entire community of sculptors makes amazing creations using existing figures). As you can see, there is no spell making these things run. They are a simple application of an every day piece of technology , but that doesn’t make these toys any less magical. Lets face it. The toys to life genre is EXPENSIVE. It can get out of control for parents who just can’t keep up with all of the different figures and games that seem to be coming out every day! Below are some strategies that will help you keep a handle on costs while still letting your kids enjoy the games. Play the game with your children. This is a recurring theme on our website in general, but it bears repeating here because it is especially relevant. 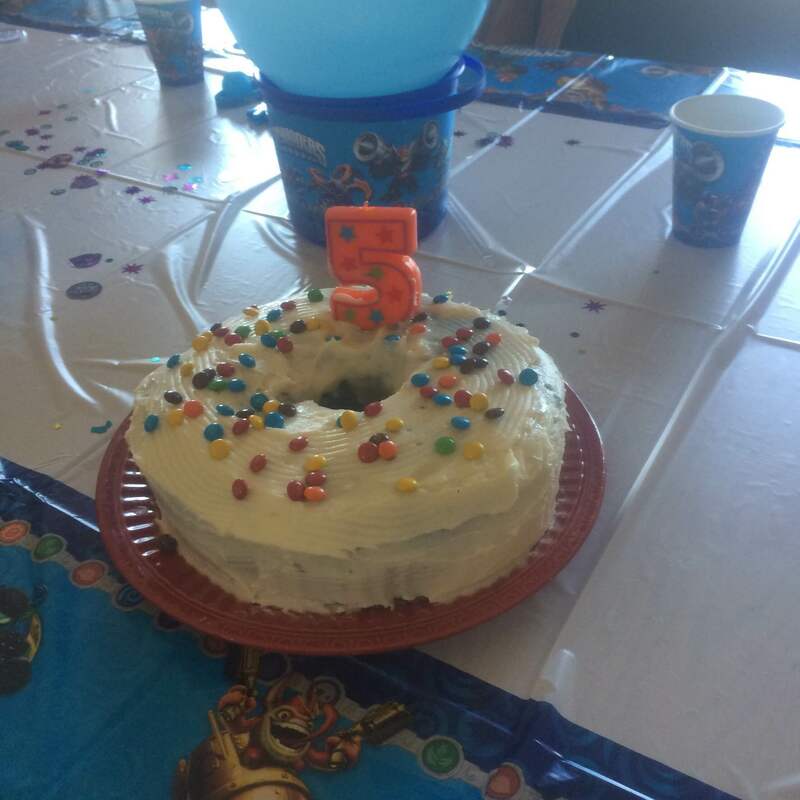 Many of the toys to life games, especially Skylanders, present players with obstacles that can only be overcome by characters of specific elements. These are all bonus objectives like puzzle rooms to get things like loot and stat-boosting hats. The best way to know what your child NEEDS vs what they would like is to play with them. You’ll be able to see and recognize where their collection is falling short so you can work together to complete it. There are tons of websites out there dedicated to explaining what toys are out there and how to get them. We even got in on the action and published buying guides for Skylanders, Disney Infinity, and LEGO Dimensions this year. This is the next best thing to playing with your kids in regards to know what they need. You can very easily find out what is available with a little web research. Pay attention to the pre-owned section at GameStop and other retailers. This wasn’t an option even a few years ago, but GameStop has seen the strength of the Toys to Life market and has pounced on it. Even better? 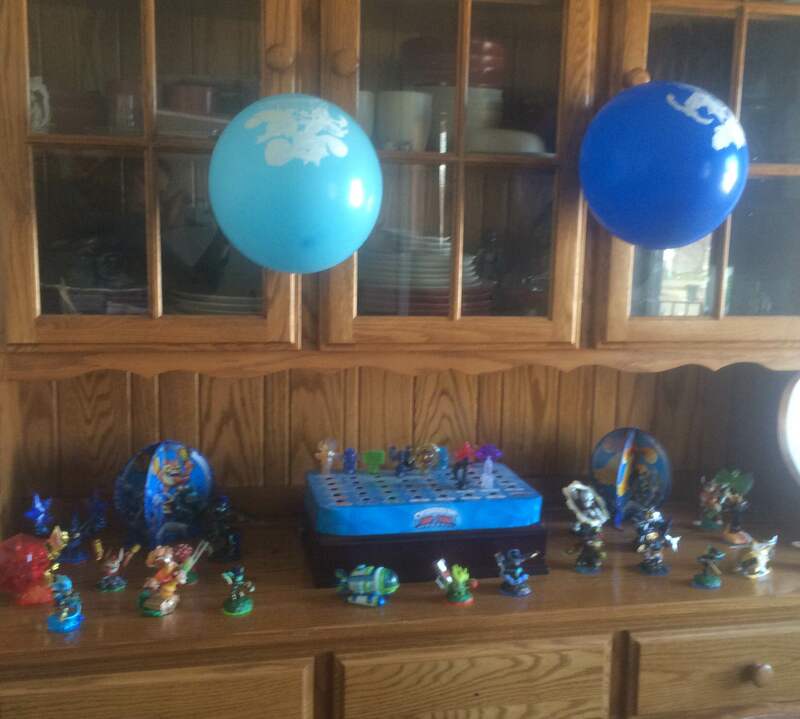 Lots of kids are aging out of their Skylanders collections and trading them in to GameStop to help pay for new consoles. This leaves them with a lot of stock that is often heavily discounted. Our family was lucky enough to clean up at a buy 2 get 3 free sale a month or so back. When in doubt don’t buy just one. Many toy retailers like Toy ‘R Us, Target, and Walmart offer discounts from time to time where you can buy one and get one half off (or something similar). This adds up if you are planning to buy a lot of these toys for your kids. Don’t buy the games and figures on release day. 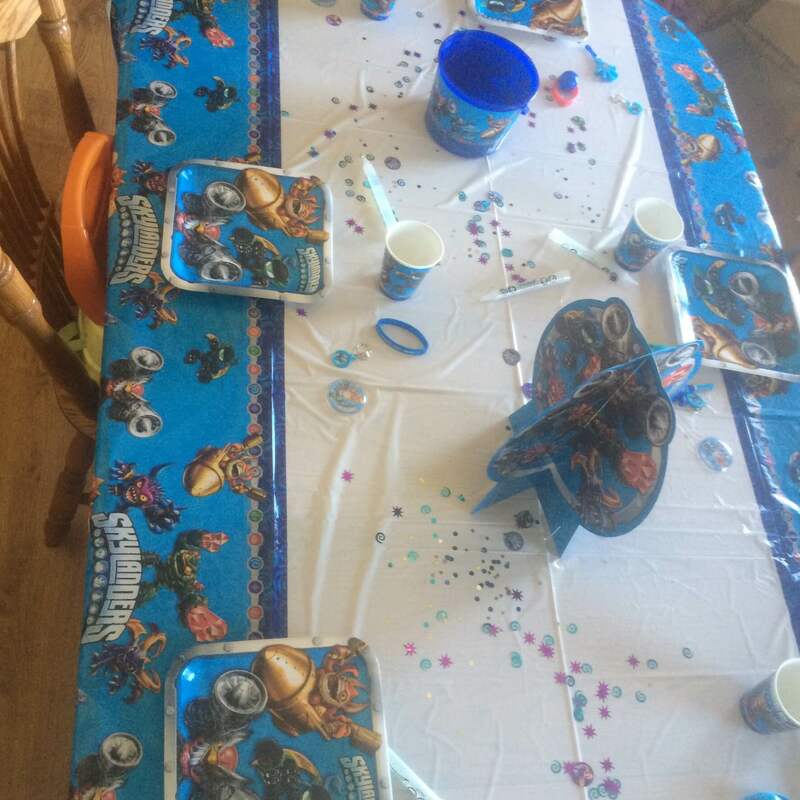 This may not be possible for people who have older kids, but if you are just getting into the Toys to Life game market and your kids are younger, then I HIGHLY recommend starting with the previous year’s version of the game. You might not be able to use the shiny new figures, but you’ll be able to get the game much less. If you were to pick up everything on its release day the total cost would be $725. Star Wars Saga Bundle: $90 (PS4 and PS3 Only) – Comes with a base, the game, the Twilight of the Republic playset (based on Star Wars: The Clone Wars), the Rise against the Empire playset (based on the original Star Wars trilogy), and the following figures: Anakin Skywalker, Ahsoka Tano, Luke Skywalker, Princess Leia, and Boba Fett. Disney is also selling the game digitally. You can buy in on your console for a lower price and use the base that you already have, but it won’t come with any of the new playsets or figures (obviously). Disney Infinity is a showcase for all of Disney’s different properties. Below is a release schedule for Marvel and “Disney Original” figures, playsets, and power discs. If you were to pick up everything on its release day the total cost of everything announced so far is $609. You can technically save $10 or so if you already own 1.0 or 2.0 buy purchasing the game digitally and then purchasing the Twilight of the Republic playset separately. Starter Pack (Xbox One, 360, PS4, PS3): $75 – Includes the portal, the game, The Spitfire figure, Hot Streak vehicle, and the Super Shot Stealth Elf figure. 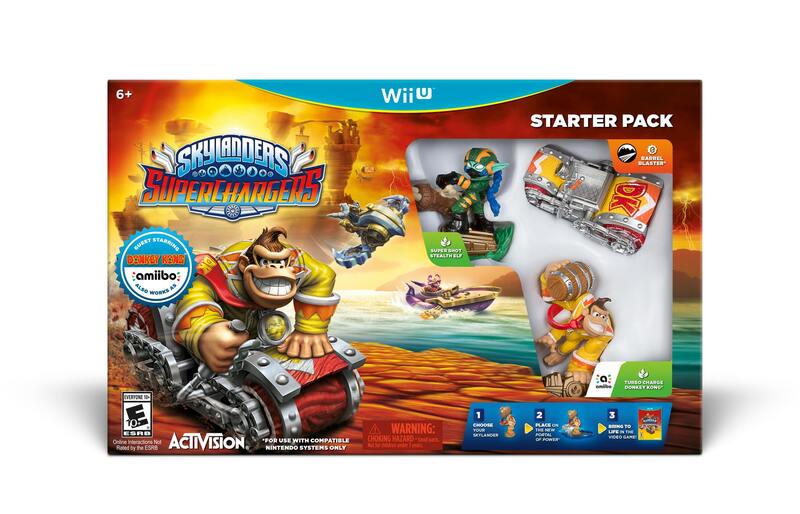 Starter Pack – Wii U : $75 – Includes the portal, the game, the Turbo Charge Donkey Kong figure, the Barrel Blaster vehicle, and the Super Shot Stealth Elf figure. The Wii and the 3DS don’t have the power to run the main campaign so they will receive versions that are focused on the racing. Wii and 3DS starter pack: $75 – Includes the portal, the game, the Hammer Slam Bowser figure, Clown Cruiser vehicle, and the Super Shot Stealth Elf figure. Skylanders Superchargers is in a unique place this time around because it has Nintendo specific characters. If you were to pick up everything on its release day the total cost for a Wii U owner would be around $718. This is because the only way to get Bowser or his Clown Cruiser is to purchase the Wii or 3DS starter pack. Non-Nintendo owners get a bit of a break here and only have to pony up $615.